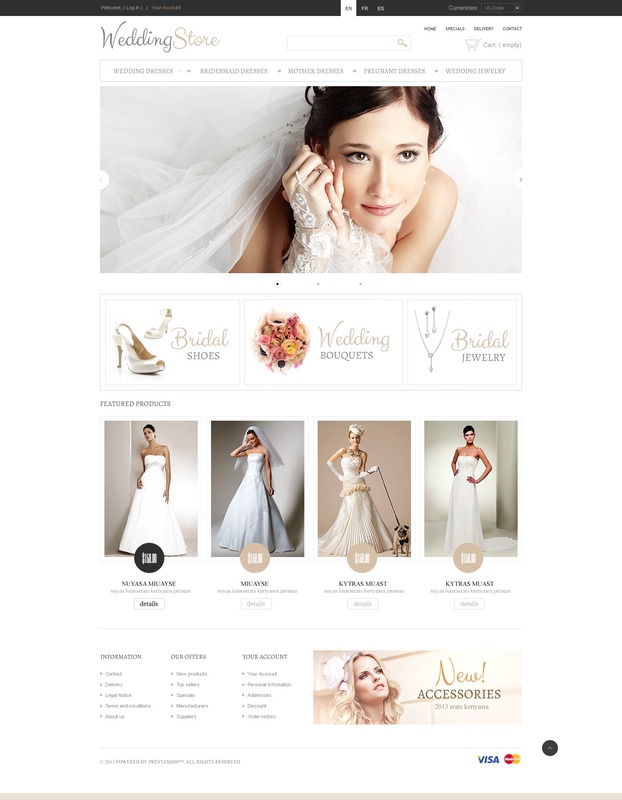 With online store like this you are able to simplify the life of couples going to get married. Light clean design has festive look. Refined typography imparts elegance to the layout. Dazzling beauty of young brides in slider gallery makes deep impression on the visitor. Neat banners visualize the navigation. Featured products are supplied with round price tags.